The Most Complete Pronunciation Evaluation Anywhere. How You Will Fix Your Pronunciation Problems Fast. Welcome to Speak English Today. It is my lucky day and i hope yours too! 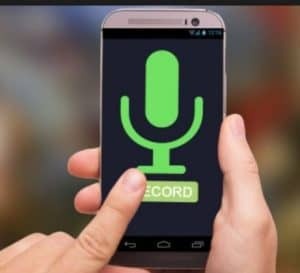 We have created the Fastest and Easiest way to Improve Pronunciation anywhere in the world or online. Do you feel confident when speaking or do you believe you have "bad pronunciation"? In order to improve you must know your problems and have good information and resources on how to fix the problems. I created this after years of testing thousands of students and teachers for pronunciations. I had to not only become great at hearing mistakes, but also find a way to handle hundreds of tests a day. This is how Pronunciation Evaluation was created. It keeps growing however now it tests for 48 sounds, 12 additional pronunciation things such as hesitation, speed, and clarity. It unbelievably includes personal comments about you, It also has some fun things like rating your percent Native Sounding. In order to know 100% for sure that you are improving, each order includes 2 evaluations, Before and After. This is the way you know you are improving and exactly what you need to do next. 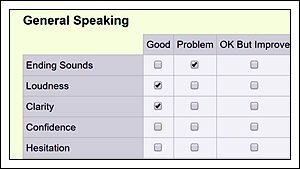 There are over 25 Lesson Pages that have short, clear, perfect Videos to teach you how to say each sound. Three are are audio files for sounds with words to practice. There are a lot more ways we help you but I will talk about that later. Caution! Practicing to fix bad habits. This is the most difficult. You can already make the sounds but do not because of how you learned which has become your habit. I will help you. I am less worried and nervous when speaking. Others notice I sound better. I feel better and am more confident. I had an easier time travelling. I scored high on my tests. I did better in my interview. I got a new job or promotion! I can now really improve faster. The Evaluation is reading a text and some words which will take you about 5 minutes. You send me the recording or selfie video. It takes about 3 days to get your results. Then you know what you need to practice and you watch the videos and audio recordings. These are about 5 minutes long however very focused and effective for each sound. Depending on the amount of sounds you need to improve, it will take up to a month, but some finish in a day or two. You are also encouraged to look at other information about the sounds and practice. 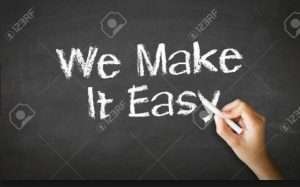 When you are ready, in day, a week or a month depending on your available time...you will do a 2nd evaluation to show you exactly what you need to do and how much you improved. Free: Enjoy 5 Free Video Lessons and Audio Lessons to practice difficult sounds. 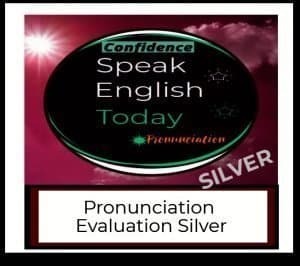 Silver: 2 Pronunciation Evaluations and all the Video and Audio Lessons $18.99 one time for life. Gold: @ Pronunciation Evaluations, all the lessons available 24 hours a day on any device, Private Facebook Group for Questions and Support, Email Support, and 7 Super Lessons to Improve Speaking Sale $28.99 includes a 41% Discount!